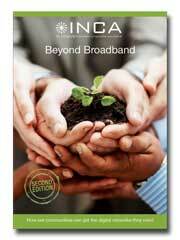 Internet service providers (ISPs) have historically talked about "contention ratios" when describing broadband. The contention ratio is the number of people sharing a given connection. Early ADSL services offered two levels. 20:1 for business and a cheaper 50:1 for consumers. Sharing a connection with only 20 people is clearly better than the higher number. Note that in this case the contention is at the telephone exchange – not on an individual’s line. DSL is a family of technologies that provides data transmission over the wires of a local telephone network. ADSL is the technology used to provide the first-generation of broadband connections over existing copper telephone lines, and has been deployed on a mass scale around the world. Perhaps the question to remind ourselves of first is “Why create a broadband project in the first place?” The answer is that the market has struggled to deliver an adequate, universally available first-generation broadband service and will struggle even more with superfast broadband. Around 10% of homes and businesses cannot get a basic 2 Mbps service and, in terms of next-generation broadband coverage, our current best estimate is that around two-thirds of the population will be covered through commercial investment. That leaves a lot of people in the broadband slow lane.